On March 24, 2012 Robert Baldwin, our friend and former Member of the Board of the Francis A. Schaeffer Foundation, died in Toledo, OH. We grieve with his family for him until his resurrection. Mr. Baldwin first came in contact with us in 1984 during the last conference in Knoxville with Francis Schaeffer. Bob and Marilynn were so encouraged by the lectures and discussions around the significance of historic Christianity in shaping much of what lies at the base of our culture, when the Good News from the Bible is applied to thought and life, to work and learning, to relationships between people and to the market. Bob had always centered his life around the world of ideas, reading widely and marking his books with colorful underlining and comments, then weaving these into conversations. His garage had become his office, lined with books on the shelves along three walls and on other surfaces. For that reason I was drawn to him. There are not many engineers, chemical or otherwise, who see the power and weakness of ideas and their influence to shape human actions. Too often they tend to reduce all human struggles to engineering problems. Bob and his wife Marilynn served their Lord and engaged in a local church, but that was not the center of their life there, Instead, for them it was the gathering of believers. They consistently put in an effort to bring to the other members of the church something of a more biblical and intelligible view of life, when either rigid ideological theology or playful superficiality in teaching threatened to dilute the foundation for a responsible human life before God and neighbor. This issue of FOOTNOTES is the first in our 20th year of sending out observations, reflections and analysis. The underlying idea is to suggest a somewhat more Biblical perspective by adding “footnotes” about further reading, additional considerations for needed adjustments and even alternatives to what is generally assumed and widely taught. The response to this effort is encouraging. We seek to make it easier for you to give shape and backbone to your own honest, critical, and reflected approach to life. Since the previous issue at the end of 2011, I taught a course in January to French-language pastors and church workers on the nature and influence of Postmodern thought, which so often gives shape to how the people they seek to address and nurture think and act. My desire was to reverse the frequently chosen tool of “event-arrangements for ministry”, which is supposed to make ministry more attractive. What has often become more like a show over the past few years needs to be replaced by what is essential for understanding the message of God -- the Bible. The disillusionment with ideologies, with news reporting and verbal media, whether from politicians or pastors, easily leaves people with the alternative that all truth is personal, that reality takes on a shape according to an individual’s liking, unchecked by greater insight into ideas, history and alternatives, or wisdom. People feel rewarded, accepted, satisfied without their interest being stirred and prior ignorance being diminished through wider education. Experience without discernment is extremely “light”, unassailable and disjointed. The critical apparatus to examine life is replaced by intense feelings. Even the Bible is filtered through what is personally relevant rather than studied as a source of information about life, meaning and morals. It is true that real commitment to God and enjoyment of Him comes neither through staid doctrinal repetitions nor from personally preferred sections of the text. It needs an inquiring mind and the patience to construct a coherent view of reality from the puzzle pieces of knowledge. Only then can one bow with integrity both intellectually and morally before the Lord of the Universe. Post-modernism has brought great freedom from dead forms; it has sharpened the awareness of personal significance and opened new possibilities. By the same token however, it has also made the pursuit of “true truth” that much more difficult. The new freedoms have easily gone overboard and are as misused as the concept of liberty: all form and content exist alone in the will of the person with little respect for the larger world of neighbors, nature and Creation. Cultural and theological experiments are embraced with abandon largely because of their novelty and individualist/libertarian focus. Personal rights, relevance and rewards matter almost by themselves, when concerns about what is true and coherent, necessary and lasting are separated from what people wish to believe. In February I spent one week in New York, hoping to teach a course on Social Justice at Madison Avenue Presbyterian Church, as well as to meet with some other interested party. However, after one week I returned, as Edith Schaeffer had developed a serious danger of a thrombosis, and Deborah was alone for 13 weeks with little outside help. From 9 am until 10 or 11 at night her mother requires what amounts to full nursing care. I could step in for a few hours, but the full burden was on Deborah. Our friend and helper, Jane, had left on January 3 and could not come back legally until three months later. I was able to use the time back in Switzerland to prepare a paper for an Academic Meeting at the LCC International University in Klaipeda, Lithuania. Memel, as the city used to be called, was a Baltic harbor for wood, hemp and honey exports to Western Europe through the German Hansa and British Trading companies. Lithuania has had a troubled history, from greatness to crushing defeat, stretching at times from the Baltic to the Black Seas, and then being swallowed by Russia, which resettled large numbers of Russians in Memel after the almost total destruction in 1945. Independence was won again in 1991, together with the two other Baltic Nations. Six hundred and fifty students are enrolled in the private university. My paper, "A World of Fewer Boundaries Demands a Life of Greater Discipline," was presented as the opening plenary session. In it, I suggest that the reduction of borders between nations and languages, and the flattening of geographical distances and cultural rivalries through a global market have also affected the philosophic assumptions and social practices. A loss of distinctions between good and evil, beauty and ugliness, the reasonable and the irrational is accepted as the benefit of the newly won personal freedom. I wanted to show how national borders came into existence very recently, and how, with the decline of their importance, individuals must now in turn select de-”finitions”, individual borders, to define and practice moral character through reason and self-discipline. When shame, social customs, education and community no longer restrain personal, mostly sensual pursuits, the pursuit of moral character is everyone’s urgent obligation. Otherwise, the rules of nature replace the restraints of culture; the market takes over, and belief in personal freedom and liberty, without concomitant responsibilities, creates relations based less on agreements than on whatever or whoever happens to match up for the moment. Stability based on common assumptions and commitments is lost when its foundation is shattered. Shallow relations, corruption and a mentality of “seeing what one can get away with” has been the foreseeable result. During a free moment I sought out a Jewish cemetery from the city map and found only a few grave stones in a wall along a fenced-in meadow. The Soviets had continued the extermination of Jews, even using broken grave markers with Hebrew inscriptions in the foundations of a local radio tower. Being told that there were no remaining Jews, I was glad to discover a tiny heap of smooth stones with the names of the four Jews murdered recently in Toulouse, France. Someone remembered them in the location where so many had been killed in earlier decades. The paper is posted in full on our web site: TheSchaefferFoundation.com, where you will also have access to the five sessions I taught at Madison Avenue Presbyterian Church last fall with the title, “The Real and the Ideal: Dangers of Utopian Idealism.” A generous fellow parishioner filmed and edited the talks. Hank Champion put it on our site. Thank you both. In addition, I had the opportunity to address students of Pepperdine University’s campus in Lausanne. They had just returned from a field trip to Israel. I wove that into a discussion on the roots of Anti-Semitism, both the earlier religious and the more recent political/scientific varieties. I pointed out how much of Christianity is built on and requires the Old Testament foundation to make sense, and what we have lost by not seeing the philosophic answers there to all basic questions about life. I used references to the lives of my parents in those terrible years under the Nazis and described their practical courage and decency in the midst of real dangers to our lives. They took that stand merely on the basis that Jews were neighbors and fellow human beings. They sought to be widely informed and reflected upon much of what went on without compromising their integrity to the then dominant ideologies. On another note, Deborah has discussed the following with me many times. You know how keen we are to hear people’s ideas, consider their ways of describing life and stating the challenges which life presents to all. We respect their craft, as well as that of people involved in the whole production of a text. The ideas in it, the setting and binding, the lay-out, the verbal and pictorial illustrations all contribute to a deeper appreciation of people. So there I was, sitting at a high table by the window, eating my burger with crispy/curly fries and good fixings at “our” Ottomanelli’s on Lexington Avenue in New York some weeks ago. I could not but overhear, as well as observe from my high perch, two older ladies at the table below me comparing notes on their iPads, Kindles or Nooks. I was intrigued by these ladies of an advanced age, their quick way of shifting pages at the push of a button, giving references, reading sentences or whole paragraphs, and looking up other books, or the background of this or that author. That was quite a distraction from my quietly reading the NY Times. It also made me think of a number of conversations I have recently had about the advantages and consequences of such electronic tools, toys and temptations. Ottomanelli’s is a small place, like so many subway cars and buses, so reading there from a tablet of one or the other kind saves space. It can’t annoy anyone the way my turning the large pages of the Times or the Wall Street Journal might. It is easier to hold than a book above a table laid for dinner. There are obvious advantages to reading books or texts on electronic readers. They are light, thin and can easily be loaded with additional or simply new texts. The size of the font can be changed to match your ophthalmological needs, they can easily be closed down and put away. I understand that more recent models work better than a laptop and are lighter than the several pounds of heavy equipment I carry around. In the third grade Michael, one of my little friends, was advised to get such a handy thing to read the assignments, the texts for school and to have ready access to the multitude of information available, including the teacher’s emails, at the click of a few buttons. Marvelous! And yet: Let’s not jump into this new convenience too fast without considering what gets lost in the process. You, of course, guess that I have reservations about this change from the lasting printed page, bound in a book or set like the Encyclopedia Britannica, soon also no longer available in print, to the flat screen with its on/off button. Recognizing some obvious advantages, my fears are on a more substantial level, as the very idea behind the tool and its usage creates one further separation between the reader and the reality of the text, and with it the continuing presence of its author in the awareness of the reader. I have not even mentioned that Amazon can take texts off your screen after you purchased them, simply because it changed its mind and no longer wants you to have them. But really: here are my reservations. The tablet is no book, by any stretch of the imagination. The text may be the same, but the experience misses something associated openly and subconsciously with reading a book at Ottomanelli’s, on the plane or even at Starbucks and at home. A book is a lasting presence, a reminder, an introduction to other people. It refreshes or accuses us; it awakens associations with people and situations. It is a reference with notes in the margins and a history of your interacting with the author and his or her text for years…unless of course you are like the Dutch driver of our moving truck who delivered our many boxes of books to the door, got tired of them all and suggested that books are no different than magazines or newspapers. They ought to be thrown away once they are read. No, a book, like a painting, is a meeting with another person, whose ideas alert, teach, admonish, and sensitize, encourage and warn. That is not just a passing, but a repeated experience. The author reaches out to you beyond his or her own limitations, even death. In addition, a physical book outlasts the first encounter; it contains more than sentences and paragraphs, it becomes a sign I pass several times a year. Repeatedly it brings out things in the text or in my reaction to it which I may have forgotten for a while since the first time I read it. I associate it with a place on the shelf, when I turn towards the kitchen. It brings conversations back to mind, people I talked with about it. I go to it to check up on an idea I come across at another place or by another author. Deborah has all the books she lectured on for years on a certain shelf, going past them every day several times on the way upstairs. They are not forgotten, a thing of the past, but like another glass from a precious wine, full of good memories mingled with the lives and faces of people who were then present. I remember the location of an important passage on a page, if not the number, at least whether it was the right or left one, top or bottom and about so far from the start. I can more easily find it when I have the book in hand, all 548 pages of it, its weight balanced unevenly in my hand. The flat screen, always the same weight, would not be able to assist me with the same sensation of place. A book is also a conversation piece in the doctor’s waiting room. The spine, of which there is NONE on a Kindle, and the cover of a certain edition reveal the title and author, bringing to mind memories or curiosity, raising questions, and making you wonder who this present reader is. What do they think of the book, the author? In a tight spot on the subway you may even be able to steal a glance on a page of a neighbor’s book, while a tablet will not let you do that easily or comment on it, as we have done at times. A book is more than a text on a tablet available for a short moment to an isolated person. The use of this handy, modern device for general reading, or as a replacement for actual material books, will contribute to even greater isolation between people. It will draw narrow borders around the reading event, leaving only a fading memory without the external reminders which books always are. It encourages the sense of manipulation of reality with the push of a button. And for children of any age it may be profitable to use a computer in light of later job requirements. But the Kindle, Nook or iPad do not build the library of fond books from childhood on. You can’t return to it later and pass them on to the next generation, greasy finger prints, inclusive of marks from spilled egg, milk or jam, coloring pens and torn and mended pages. “Yes, my Mom was very cross when I wrote all over that page,” creates a treasured bond with one’s children’s present naughtiness. With “Unlucky Strike,” the Financial Times reviews Ed Smith’s Luck: What it Means and Why it Matters (March 24/25, 2012). Smith, an English cricket player, left the game and now writes, because he had “bad luck”. While there is no room in a reasonable world for what is commonly called luck, I agree that we often fail to make room for factors in our life that influence us, like stones in a riverbed are influenced by its currents. What Smith calls luck is a corrective to the belief that we run along and basically control our destiny. Especially in the US, we are made to repeat the mantras of “equal opportunity for all” or that everyone should live and fulfill their dream. But it isn’t quite so simple. Everyone knows that many hands are required to help as well as remove stones from the many turns in the road of a person’s life. Opportunities are not precisely equal. They depend on genetic, social and geographic factors, among many others. Each person has more or fewer liberating abilities, better or worse teaching and training. Physical potentials are absent or can be developed, and family and cultural settings locate the starting holes differently. Some abilities can be nurtured; others come with the person’s own complex personality. Equal is each person’s humanity, but not each person’s opportunity to express and develop his or her aspirations. Therefore not every advance and advantage is earned through individual effort, assuming that anyone could merit what they wish to make of their lives. The view of merited advances, supported by samples from a rich history of individuals who accomplished much and went on to fame and fortune, to renown and rewards, does not paint the whole picture. Many helped themselves and moved ahead, regardless of prior religious confession, social class or immigrant status. Where they found open doors on their way, or created new entries, they went through them. Rather than be confined to a house with few rooms, stairways and windows, in familiar and therefore secure spaces, they created doorways to beyond. The gardens outside are part of a world to explore, to shape and even to expand. They go toward ever receding horizons, look around corners and under the ground to extract new resources. Through Jewish and Christian teaching from the Bible a change in view and practice came about from fate to choice, from the view of a closed destiny to personal effort and rewards. This belief explains the determined efforts to vary and improve the human context for life. Scripture gave that affirmation of freedom and responsibility in its mandates. A historical record is always true in both rule and exception. The Bible gives us a more detailed and realistic awareness of a complex life. Advance through merit is not by itself a common pattern. As historic occurrences cannot be turned into moral teaching without further clarification, so also can one man’s life not be seen as an indication of everyone’s rights or possibilities. When Scripture teaches creativity, it also teaches that limits exist in the frame passed on from one generation to the next: we do not encounter the level playing field of an innocent or fair world, but one with flaws and bruises. It is easy to overlook the equally scriptural insistence on the unfairness of life and nature (creation), wounded individuals and the damaged society in which we grow up (and out). You will remember from earlier issues of FOOTNOTES that many Jews and Christians over time turned to a more accepting and deterministic perspective and away from the relational one. They turned God’s laws into rules for rigid and forbidding distinctions. They forgot that laws were given to remind us that the love of God and neighbor should bring us together to limit the effects of a fragmenting, fallen world. They rightly substituted pagan notions of a person’s determining fate with self-determining individual actions. Yet in that exchange they made each person largely responsible for his or her own merit or failure, overlooking that the logic of a rational universe also affects everyone with the results of someone’s earlier choices. Personal freedoms are real, but always limited in a consequence of prior effects. Neither fate nor individual action, nor some medieval aberration, confusing what is known of the Nature of God with the manifestation of the Will of God in detailed history, is a sufficient explanation for a person’s complex life. God’s sovereignty is less in history than over history! The nasty bits of life, its fundamental unfairness, results from the immense fracture which Adam’s Fall produced. Creative choices, including in this case destructively creative choices, have consequences that spread out from there into all subsequent generations. They, and we, inherit not Adam’s guilt, but a flawed, damaged and imperfect, unfair existence, which is rightly called “sin” as a constitution of all existence. In its context we carry out our own sinning and healing efforts. There are only unequal opportunities for everyone from the wounds (and repairs) accumulated over a life time: family context, learning skills, teachers’ attitudes, textbooks, cultural settings and emotional development, intellectual stimulation and, of course, physical limitations among many others. How else can we begin to understand the compassion of our Lord towards sheep without a shepherd, and his anger at wrongful, unfair and cruel events as well as the flawed reasoning among people in the course of history? After reading this review in the Financial Times, I add to my repertoire and outlook these thoughts: There are natural abilities and limitations, results of genetics and nurture from exposure to the kind of things and ideas in cultural settings which add or subtract from what one might otherwise pursue on one’s horizon. These are things in one’s background and surroundings, sometimes going back generations. They make life easier or more difficult and are not part of personal merit or divine giftedness. They are the unknowns one stumbles on or over; they frame one’s options, permitting some and restraining others. Those of us who get ahead can with ease claim God’s leading and directing. With similar reasoning, those who do not make the ladder blame God or destiny. Both, I will suggest, don’t seem to understand the lessons of Job, or they forget, that God, according to the Bible, created a world that has what I call “a life of its own” after it was created. By that I mean that God created a lawful universe, where things function in an orderly fashion and keep going because of the way he designed their nature without his constant intervention. Things function in line with their original form. That is not a version of deism, which sees no intervention from God in a finished clockwork creation. But neither is God the magic deity Who acts in all situations. The God of the Bible is involved with all things and people at all times, but not so as to violate the will of the creature or to remove the reality created by prior choices. Interventions in all of history are not part of a random punching game of personal forces. They come either from the choice of a personal God, when it is called a miracle, or by choice of a human being, when it is called creativity or enterprise. Neither violates natural laws, but adds personal creative acts to what was there, what “always had a life of its own” and now has been affected. Therefore, we understand that the interplay of factors in an orderly universe, (metabolism, synergy or chemical and physical processes) affects everything and moves things around. We are still, at all times, in a universe with orderly processes rather than random or whimsical ones, or one that only functions because of God’s continuing creative acts. Seed times and harvest will follow the established order, rather than be renewed each year by God. But actual seeds and harvest have to be done by people who know the possibilities and problems associated with the needs of life in a fallen world, on a piece of land in its distinct geography; or the needs of each wounded person in his or her distinct fabric of life. The framework of life’s possibilities consists of historic circumstances in a real and material world and of personal choices. Some are wonderful, a blessing, a support for the next generation, raising a higher platform to start from, while others are a hindrance, from where only an extra effort and external help may lead to merit and rewards; most have no relationship to one’s own personal acts or choices, in which case they are the “luck” the author talks about. We make it a problem when we fail to consider that history is always written from hindsight, and therefore allows for all kinds of theories of inevitability to explain, with reference to fate, God or Destiny, the things that have already happened. Master plans for the future, mission statements and prognostications are a corollary to this and equally erroneous assumptions. People and businesses and production plans must constantly adjust precisely because future circumstances are unforeseen. Whether or not people are more flexible to new situations and opportunities depends on the double handicap of their weight or burden and on the person’s freedom to adjust directions in order to be more fruitful. “Blue-sky thinking” or having dreams is a way to maintain motivation, to set a goal and to maintain the creative tension between what is and what could be. It is not a blueprint for action. Reality constantly requires adjustments in light of unforeseen events, conditions, and local or international neighbors, who can shove anyone at least temporarily off their track. To whom much is given, of him much will be required. He who has many stones on his path will have a harder time and requires more compassion, practical help and encouragement. There are then no equal opportunities. Not only are there deserts and drought. There are also poor social conditions, broken homes and undisciplined bed times; there are poor grammar and bad habits; there is neglect in love and attention, too many interruptions and too little consistency, too many decisions to make at an early age, and too little conversation: and all these things shape a brain, create habits and flaws that are not God’s will, nor personally always merited. Jewish and Christian understanding works with the existing forms and sets limits against evil. They are concentrated in commandments and furnish principles which human freedom applies against evil in areas where no specific command is given. What is good and just, beautiful and diverse awaits people, made in the image of God, to bring about by their creativity. The God of the Bible created an unfinished world in which He enjoys the good that human beings do well. There is much praise for the agency of human work to accomplish God’s interests through a concerted effort of creativity. Before the Fall of Adam and Eve, human creativity encompassed all of life: God did not lead Adam and Eve in their marriage or ordain the details of their relationship and daily life; nor did he lead in their choice of names given to animals. After the Fall, God adds further mandates to fight death, struggle for life and work in hope of redemption. He did not lead Cain to build cities, or his children to make music, yet he noticed and blessed both. He led Noah to build an ark and led Abraham out of Ur, who went to Egypt by his own choice, delivered Lot from attackers and insisted on the purchase of Sarah’s burial plot in the land only his progenitors would later own. The agency of thoughtful people accomplishes much of what God wants done in a fallen world. The pursuit of justice, commanded in Scripture with the use of the word tzedakah, contains both “giving”’ and ”owing” as the just response to a person. We give from generosity, but also because we owe the neighbor as a fellow human being in the one human race what he needs for sustenance. Charity is then not only selective generosity, it also an obligation! It is not a hand-out, but a chosen step in the battle to diminish evil. Give time, knowledge, counsel, words, wisdom and….financial support. We are following with great interest and concern the presentations of this year’s candidates for high office. Listening to their critiques, accusations and propositions helps us understand the spreading cynicism about politics. There were no debates worth the name, and the few genuine concerns were addressed with ideological rather than workable solutions. More than curious, it is alarming how an electorate can fall for impossible gas price promises, settlements on the moon, a return to the gold standard or hollow job creation promises. Overlooked is the fact that a society can only function, and industry will only invest, when people earn enough money to purchase the things they produce. Henry Ford knew that when he paid his workers more than the market demanded. Investments and risk taking will only bear fruit when enough people can afford what new businesses produce. Likewise, people will only earn more to purchase the new marvels when they can hold a job that pays enough for a living wage. For that they need to be educated, healthy, dedicated, loyal, and wise in their lifestyle. All that and more is essential for a civilized life together, yet also much more difficult to insist on when everyone pursues his or her idea about self-image, personal liberty and rights. Such only fragment further what is needed for agreements so that things, or society, can function. Without the common form no particular pursuit will bear much fruit. Let me humbly suggest that the central problem is the notion of liberty, dear to all of us, but now mostly misunderstood. No person has liberty as a “right” beyond how God established it: within the limits of being children to parents, neighbors to others, owners in a supply chain of working contributors, of being dependent on a costly national and local protection against evil, through insurance or community agreement against health and other accidents, through laws and regulations against our own depravity and that of others. Liberty only exists within the bounds of events outside of my control and the laws that reflect the nature of a defined creation! That is the “luck” referred to above (pg 5) in Smith’s work. You will find The Gardens of Democracy (Sasquatch Books, 2012) by Eric Liu and Nick Hanauer a refreshing look at and response to our very real social, political and economic troubles. Consult also the piece by Nicholas Lemann (New Yorker, April 23, 2012) The Politics of Inequality. We used these texts in connection with the weekly lectures and discussions we have when we are here in the NY apartment. One more thought: For the life of me I cannot see why the teaching in so many churches about “total depravity” (flawed in itself: See The Innocence of God for an alternative view) is put aside when people wish to be exempted personally from that characteristic. Where do they root their conviction that they are knowledgeable enough to be good parents, gun owners, bankers, pastors, politicians? Does not each claim the exception from the belief in their notion of “Liberty” in an effort to escape accountability to facts on the ground, to reasonable coherence of arguments, to historic precedent, and eventually to God? Liberty as such does not exist! We are bound by time and space, by rationality and nature, by cause and effect, by the consequences of creativity and fatalism. Yet somehow we wish to believe that we, for the first time ever in the human race, have the right to liberty. Yet, rights are given, not taken. The right we have is to be a creative human being in the context of a much larger and already defined world. That context is inescapable, yet many of us embrace an ideology, an idea which lets us pretend (for the time being) reality does not apply to us. I write this from New York, and send you our warm greetings with much appreciation. This month I am teaching the course I had planned in our church and again at the Campus Crusade Embassy to the UN delegates. I submitted this description: Social Justice is not a euphemism for Socialism with its disregard for personal effort, nor coercion by a state to reach equality of outcome. Justice requires the pursuit of fairness towards people, situations and genuine possibilities. A social dimension lies in the fact that we are not alone and should bear each other’s burdens, whether they are educational, emotional, financial or spiritual/intellectual. Social justice addresses issues of human rights not by governmental attribution, but owned by nature of being people in the image of God, who intended a fuller life, greater knowledge and genuine responsibility for people. We will again be able to make the course available on our web site later in the summer. 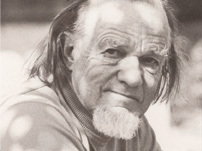 PS: Gifts and donations to the work of the Francis A. Schaeffer Foundation are tax-deductible in the USA. The Foundation is recognized as a 501 (c) (3) not-for-profit organization. A receipt is always sent by us. In Switzerland the Foundation's account is with the Banque Cantonale Vaudoise, Ch 1884 Villars, No: Z 0923.92.42.